Zach Tesarek, 8th grader, was named St. John the Baptist School’s Geograhic Bee. The competition was held at St. John’s in December. Zach was last year’s runner-up in the competition. Awarded runner-up of this year’s Geographic Bee competition was Sophia Vinduska. The Geographic Bee, a competition where students answer questions on geography, was the first round in the 30th annual National Geographic Bee. 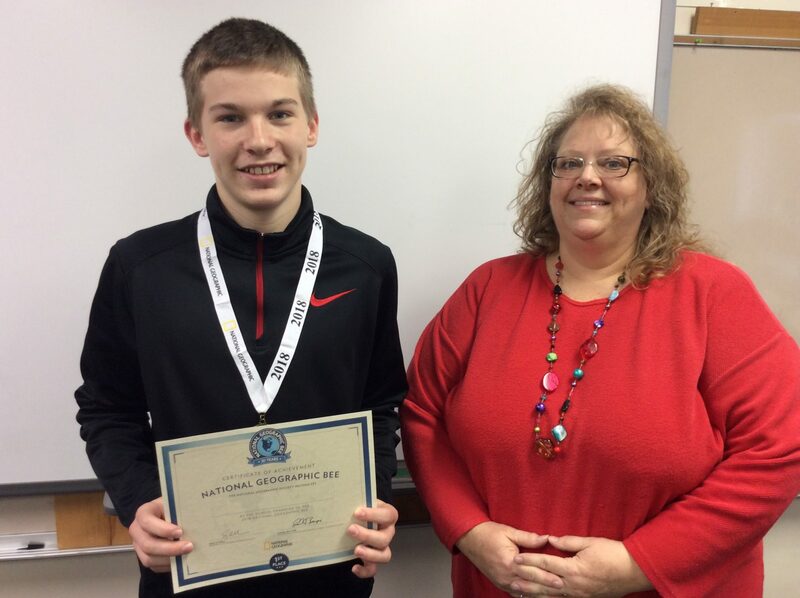 Zach will now take a qualifying test for the State Bee which is held in March. Congratulations to all the finalists and good luck in the next round, Zach.